This is a Pilot article from May 2009 which I thought was worth sharing. It took quite some time to actually FIND the article (linked as a PDF and in full below the cut), which discusses the “new” (at the time) Free Speech Policy. The new freedom of speech policy will take the place of this existing policy; however, it is not specific to homosexuality, nor is it intended to be. the document does not provide for universal and total free speech on campus and it’s not supposed to. Principia is a private institution and as such it can enforce certain standards. If anyone has a copy of the OLD Free Speech Policy I would love to have it to compare them! Working closely with the administration over the past year, four students reconstructed the freedom of speech policy at Principia College, revising it to provide specific and identifiable guidelines for using free speech constructively. These students, seniors Gameli Anumu and Noelle Matteson, and juniors David Miller and Frank Flavell, are finally seeing the results of their dedicated work. Presidential Board passed the new policy by a unanimous vote on April 19, and it took effect immediately after signing on April 28. The four students believe that this new policy is important for the Principia community because, rather than restricting students, it provides guidelines for how to use free speech respectfully and responsibly. The new policy is outlined according to five “Principles for Responsible Speech at Principia,” including spiritual foundation, tone, balance, accountability, and mediation. It is the first written policy to articulate these principles so that students are aware of what is and what is not appropriate. Before, the Office of Student Life decided on a case-by-case basis. Student Body President Will Buchanan explained that one positive consequence of the new policy is that “We can remove the clause about homosexuality because it is protected by the bigger clause.” He went on to state that while the new policy encompasses discussions on homosexuality, its main purpose is to provide more general guidelines for freedom of speech in all situations. Anumu said that the need for the new policy originally stemmed from an incident in the spring of 2007 when a fi lm made by a Peace & Confl ict class was censored by then-College President Dr. George Moffet because of inappropriate content. 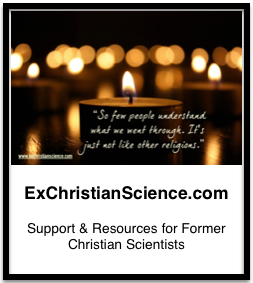 The fi lm documented the experiences and thoughts of young Christian Scientists who are homosexual. Anumu, who was in charge of the Film Festival that year, was concerned by the censorship of this fi lm and began working to change the policy limiting what students can openly discuss. With the new policy in place, if this fi lm were to be re-submitted, Anumu does not believe that there would be any problems with showing it. Both College President Dr. Jonathan Palmer, as well as Dean of Students Dorsie Glen, were centrally involved in this process, and Anumu said that they even suggested that the policy be amended. Buchanan shared a similar view, saying, “Now we can have better conversations and discussions and embrace issues and whole ideas that before we had not been able to at a liberal arts college.” Both Anumu and Buchanan hope that with this new policy passed, more uncensored opinions and thoughts will be shared and discussed as a community. They believe that the new policy will encourage people to consider and discuss different ideas, rather than shy away from them.